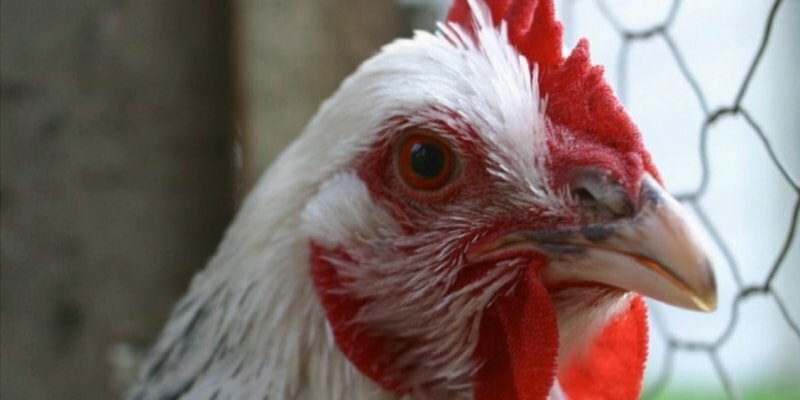 Do Your Fowl Have Manson's Eye Worm? The disease known as Manson’s eye worm, or Oxyspirura mansoni, is caused by a nematode that is a type of roundworm. These worms are quite small and are often referred to as threadworms because of their slender appearance. These worms were first described by Dr. Patrick Manson in 1878 while he was in China. Dr. Manson, born in Scotland in 1844, worked primarily in human medicine and is referred to as "The Father of Tropical Medicine" for his groundbreaking work in the discovery of the transmission of malaria via mosquitos. Many years ago, it was uncommon to see a case of Manson’s eye worm; it was mainly confined to tropical regions of this and other countries. Today, worldwide air travel and shipping are bringing more and more cases of this disease each year. 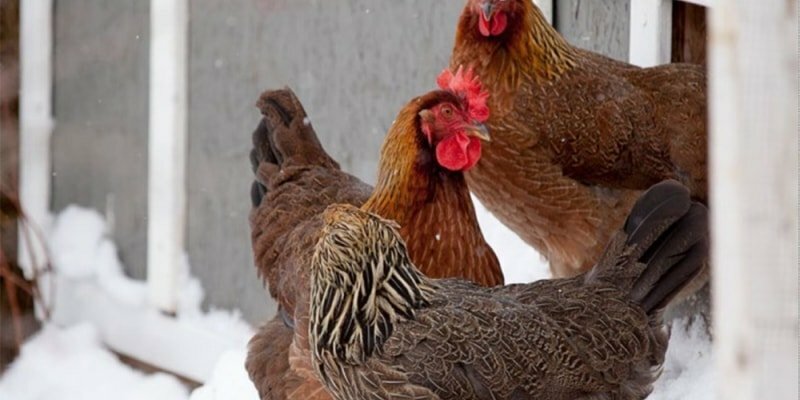 With most medications ineffective in treating the worms, it becomes important to understand how this is spread and how you can prevent your fowl from contracting it—as well as what to do if you find that they have. How is Manson’s eye worm spread? First, let's examine the carriers of this disease organism. The domestic chicken, turkey, peafowl, pheasant, and quail—as well as numerous free-flying birds—can all act as a definitive host for this worm. The Surinam cockroach is the intermediate host for this worm and the main method (or the vector) of disease transmission. The roach consumes feces that are contaminated with the worm’s eggs. Then, the larvae mature within the roach's body in approximately four weeks. 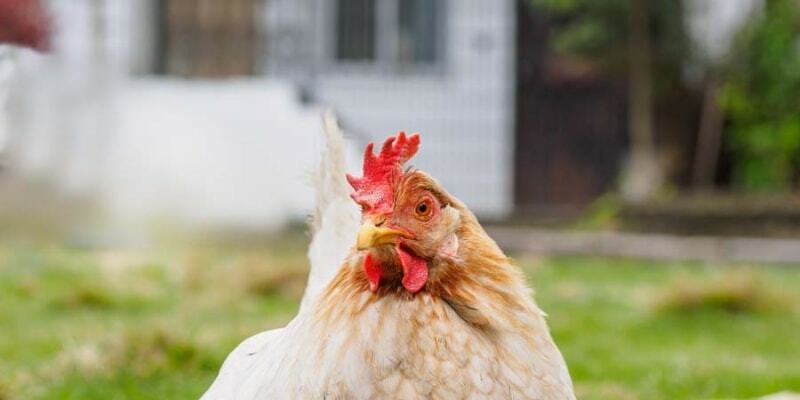 When a chicken eats an infected roach, the larvae are released from their capsule within the roach's body, make their way up the bird's esophagus to its mouth, and then travel through the nasolacrimal—or tear—duct, where they finally make their way to the bird's eye. The resulting worms, while very small, are easily seen with the naked eye or with a low-power magnifying glass. Once the worms have made their way to the eye area, they lay their eggs under the nictitating membrane (the clear, transparent eyelid that isn't easy to see). With the worms and their eggs now under the nictitating membrane, the birds will begin to scratch their eyes and rub them on their feathers in an attempt to remove the material from their eyes. Constant blinking of the infected eyes may be seen, with the cornea of the eye sometimes taking on a whitish, opaque look, similar to that seen with a bacterial eye infection. One of the first symptoms to appear will be lacrimation of the eye, or an intense tearing. This is usually followed by conjunctivitis, the inflammation of the conjunctivae, or mucous membranes covering the white of the eye and the inner side of the eyelids. This usually provides the red color that we often see in the eye. You may also notice the fluid coming from the eye thickening. 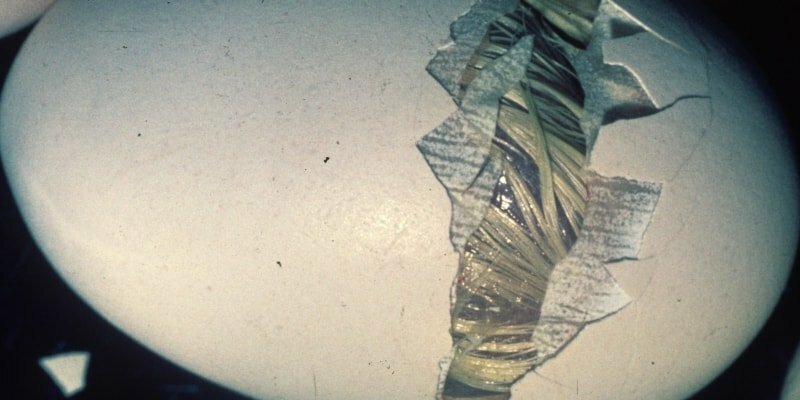 This thickened material from the eye can also begin to appear on the bird’s feathers as further evidence that something is wrong. The eyes can become quite inflamed and swollen from the constant irritation and the bird’s constantly rubbing their eyes. The face-scratching and possible ocular and nasal discharge can also mimic other respiratory diseases, such as coryza. The constant tearing wash the worm eggs out, back down the lacrimal duct before make their way down the esophagus to be passed in the feces of the bird to begin the cycle all over again. How can I control an infestation? The only way to get control of this situation is to eliminate the cockroach as the vector. Spray the coop and all pens with an insecticide designed to kill cockroaches. You can remove the worms from under the nictitating membrane with tweezers, picking them out one by one. They will be about three quarters of an inch to approximately one inch in length and approximately the same diameter as a piece of thread. Boric acid may also work to flush the worms out of the eyes, but it will not kill them. Nasal flushing with a boric acid solution will help wash worms out of the nasal cavities as well. Immediately following all above treatments, the eyes must be flushed with pure water to eliminate contaminants and the cresol, Lysol, or VetRx used to kill the worms. Birds may have to be treated several times, depending on how bad the infestation had become. All pens must be thoroughly cleaned and disinfected with a cresol-based disinfectant to make sure all worms and eggs are killed. Be sure to discard all manure because roaches are known to hide beneath it. Then, follow up by spraying the area with both insecticide and disinfectant. If you're interested in getting more information about keeping your flock healthy, subscribe to our blog!